Lemon round tray (11.75 inch) made for both presentation and service. 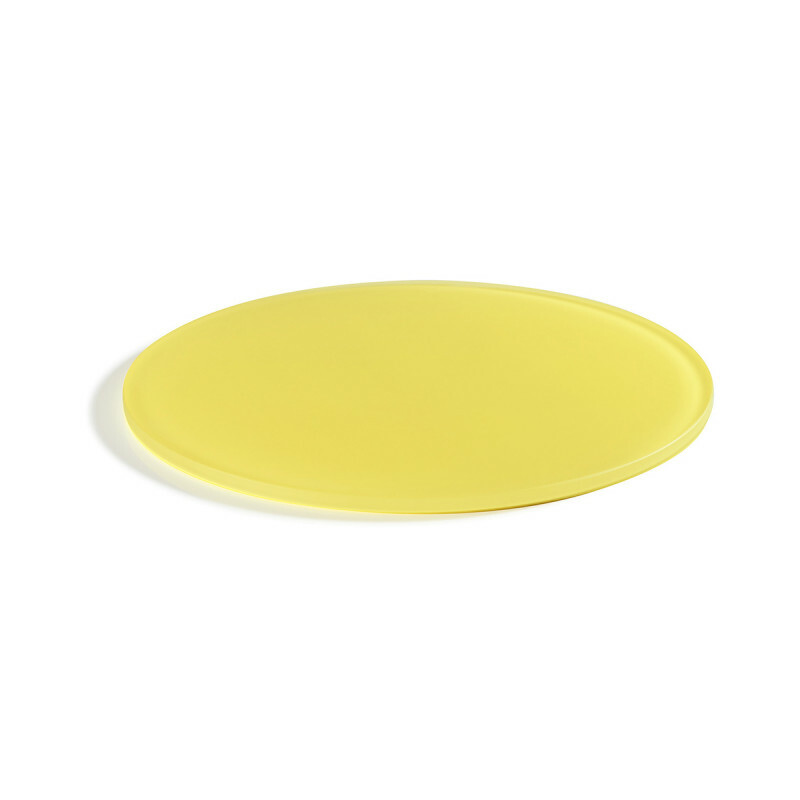 Punchy and colorful, made of Nacryl, this round plate is part of the Mealplak collection. 100% food safe: use it as a tray or a plate.Suitable for indoor and outdoor (100% UV proof). Freezer safe, it can hold the cold for about 1 hour. They do not brake, do not scratch and are dishwasher safe.